It’s the time of the year again when it rains every single day, when dinner would be perfect if there was warm gooey melted cheese and red wine, when your family is back and everyone digs into the same tray. 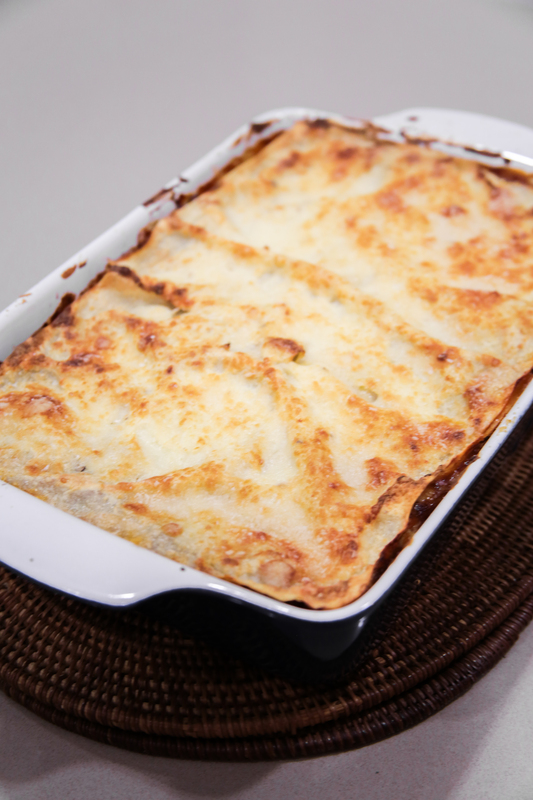 I spent my entire afternoon yesterday slogging out this lasagna, preparing the 3h simmered bolognese sauce, painfully whisking the Béchamel sauce and tediously rolling out the pasta sheets. Everything was done from scratch and thank God it came out perfect. ps. 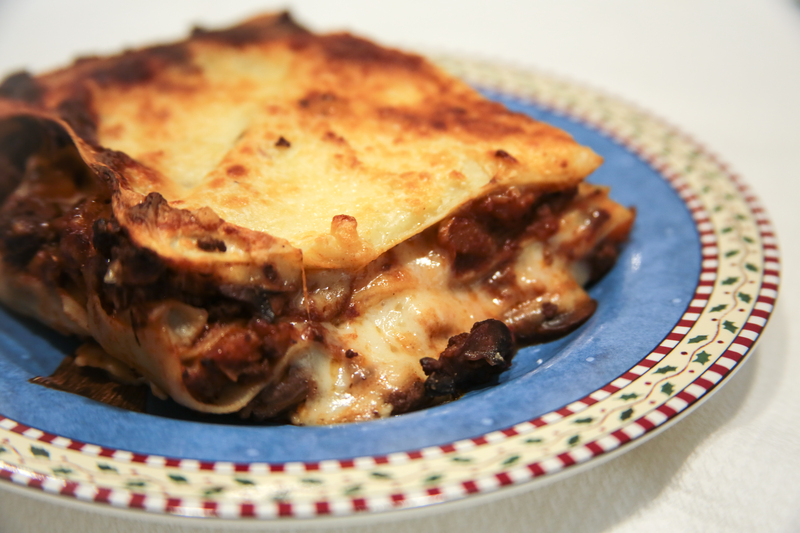 this lasagna may take ages to prepare but it is a winner. 1. 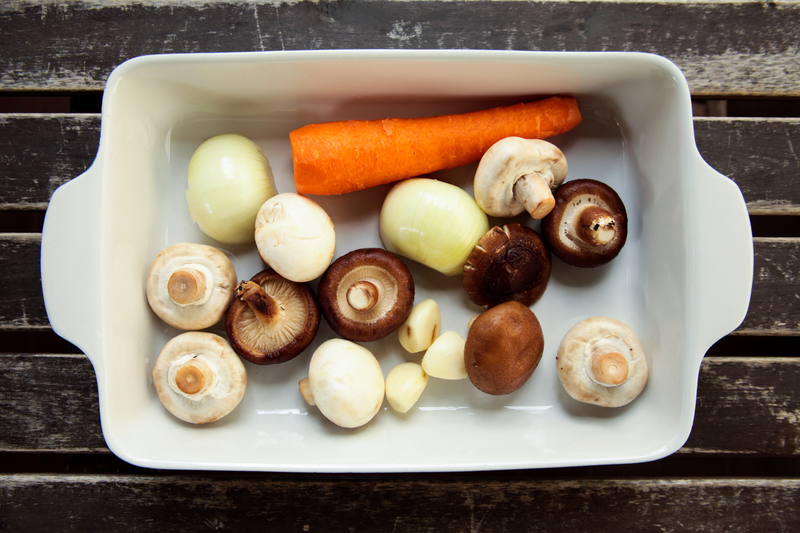 Coat pot generously with olive oil, add chopped vegetables and season them, cook over medium-high heat for 15 minutes. 2. Add in beef and cook for another 15 minutes. Season well with salt and pepper. 4. Add in red wine, cook until half of the sauce is reduced. 5. Add water into the sauce until it is 1 inch above the meat. 6. Add bay leaf and thyme. 7. Reduce heat to low and simmer the sauce for 3 hours. 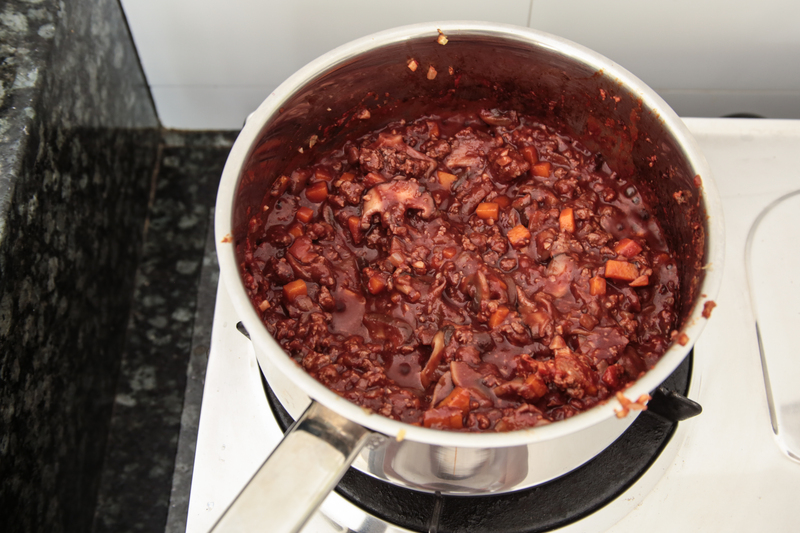 Stir the meat occasionally while adding a bit of water so that the sauce can be reduced and thickened. 1. Place all the flour in a huge bowl, making a well in the middle. 2. Crack eggs into the well. 3. 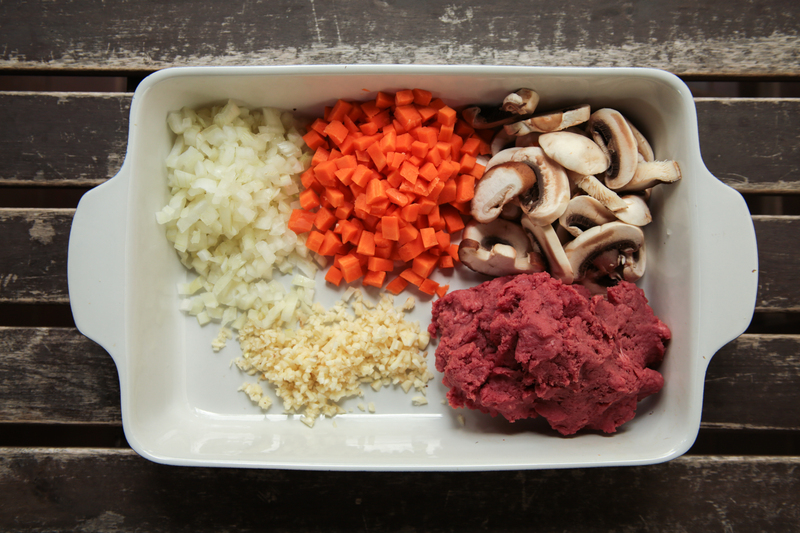 Gradually mix flour with the eggs until a ball of dough is formed. Add more flour if the dough is too wet. 6. 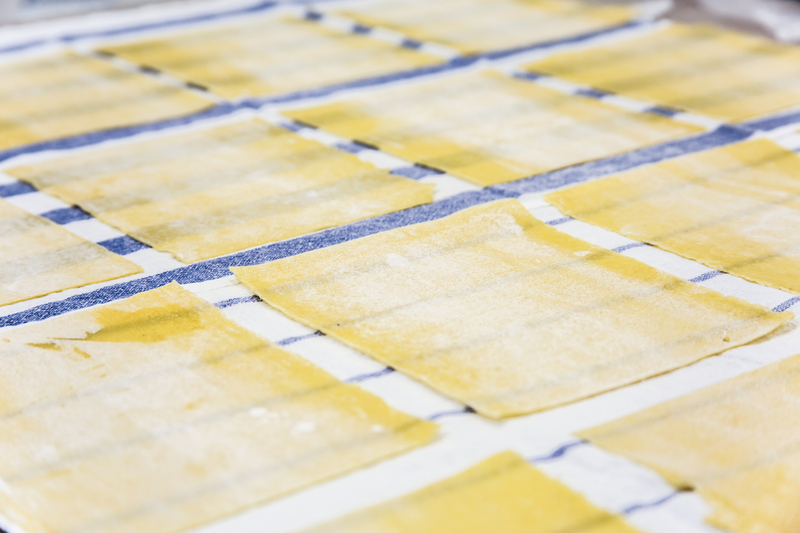 Cut the pasta into rectangles, according to the size of the dish you are using. 1. Melt butter in a medium-large pot over medium heat. 2. Once melted, add in flour and stir until well mixed. 3. Whisk in milk gradually until a smooth paste is formed. 4. Add in grated nutmeg, black pepper and minced garlic. 5. 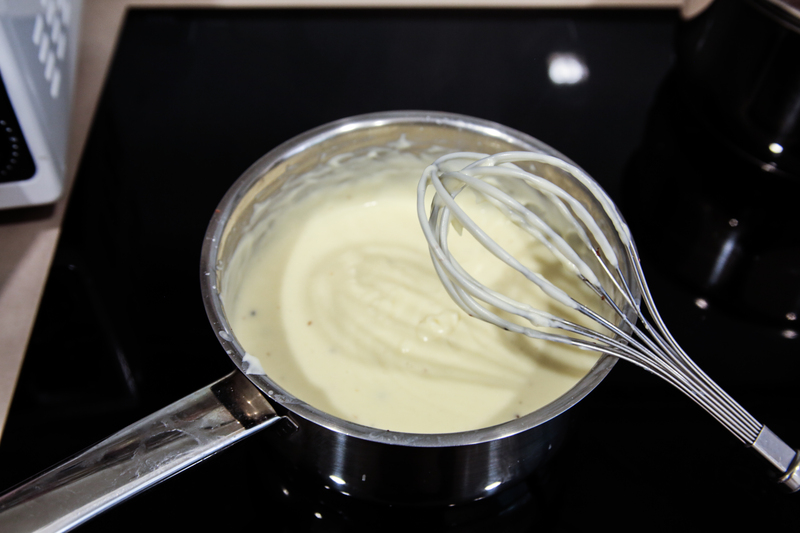 Cook béchamel sauce for a further 10 minutes, stirring it constantly. 1. Spread béchamel sauce onto base of the tray. 2. Cover the sauce with pasta sheets. 3. Spread bolognese sauce over the pasta sheets. 4. Spread béchamel sauce over the bolognese sauce. 5. Sprinkle shredded mozzarella and parmesan over. 6. Repeat the layers, you should get about 3 layers. 7. 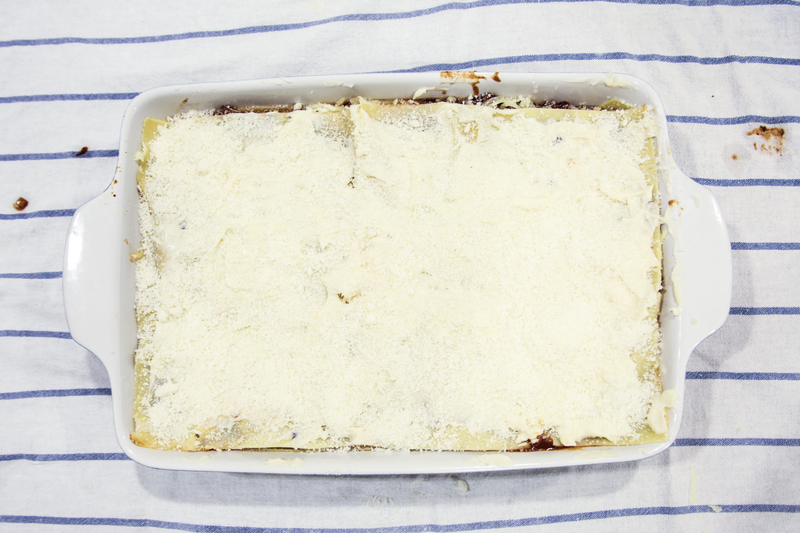 For the last layer, it should be pasta sheet, béchamel sauce and then parmesan cheese. If you want a crispier top, you could omit the béchamel sauce! 8. Bake in the oven at 200 degrees Celsius for 15 to 25 minutes, until the top is brown and the sides are bubbling. 9. Let it rest for 10 minutes before serving.